Today is October 19, meaning it’s time to decide which LAN qualifier participant has advanced to the group stage based on their HLTV.org ranking. Our congratulations to ENCE eSports, the winners of the EU qualifier who are now the sixth team in the EPICENTER CS:GO group stage! 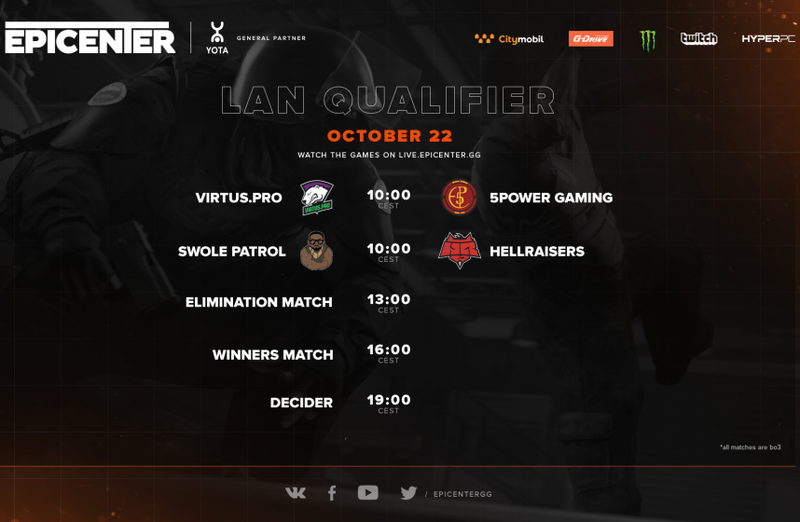 Below you will find the matchup draft breakdown and the schedule for the LAN qualifiers due to be played on the first tournament day, October 22. The two best teams will advance to the remaining spots in the group stage. Those are going to be some heated games, so don’t miss the start of EPICENTER!